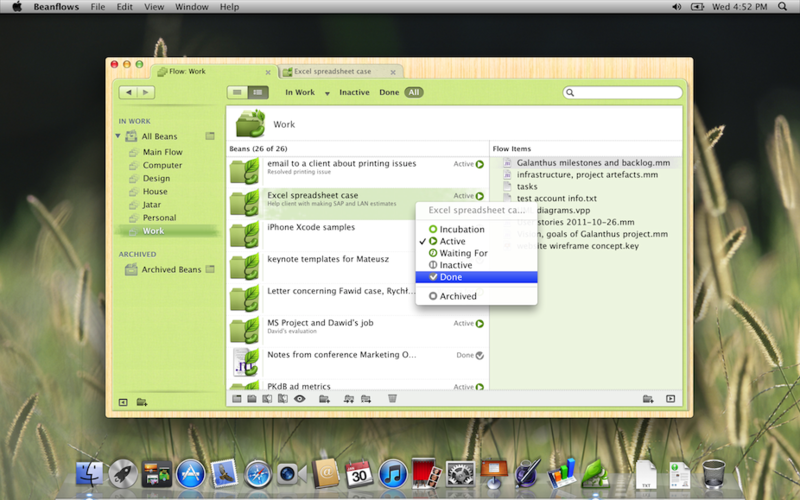 Beanflows is delightfully green and easy to use project file manager. 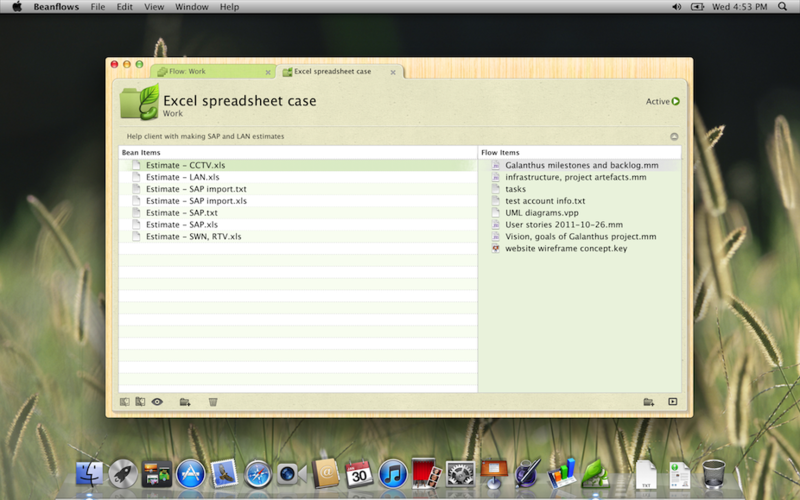 You’ll get started in no time, managing and organizing your files. 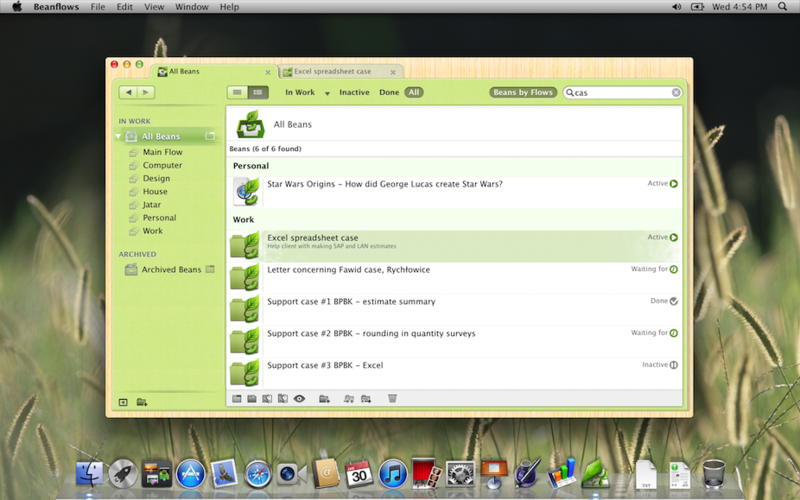 You’ll discover how Beanflows truly makes you more productive. And soon you’ll realize that achieving your goals comes more naturally and ecologically – one bean at a time. You put in it text files, documents, images, Photoshop files, source code repositories, web page links and almost everything that is connected to the work you do – and Beanflows manages it for you. Yea… you can use the Finder for that, and probably you still do, but… have you ever wished that Finder would have some more organizing abilities… We did. 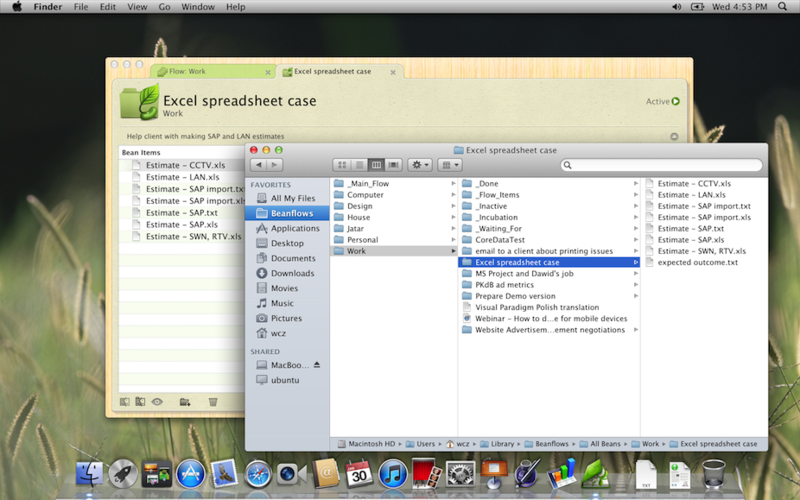 So we created Beanflows and we’ve integrated Beanflows with Finder very, very tightly. When you work, you perform various tasks to obtain certain results and to do so you use, create, maintain or develop files and you certainly tend to perform these tasks to a great extent off-line. Beanflows works off-line. Though Beanflows manages files, is not a file manager. It is not document library manager either. 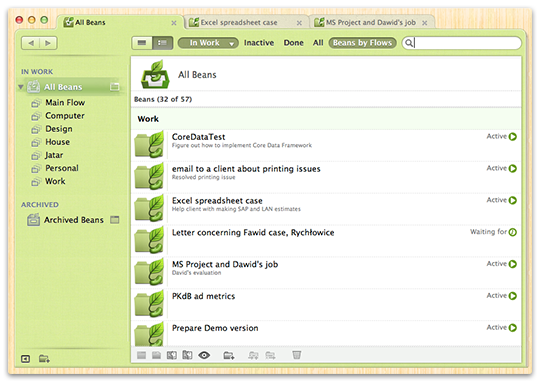 It utilizes unique Bean and Flow metaphors to help you organize your digital work environment better. You might find that you like it, especially if you’re familiar with acclaimed Getting Things Done (GTD) methodology. You can think about a bean in terms of a project. You may treat bean as simply one piece of „stuff” that can produce a certain result and you have to work with at least one file to accomplish that. Flows give you means to categorize beans by subjects. Flow items are files corresponding to several beans in a flow. Bean statuses represent the stages of the process of outcome achievement: sowing, growing, shaping, maturing, and harvesting. You’ve seen a glimpse of the Beanflows power on these screenshots below. This is actual, actionable model and app ready for use. Imagine all your project files organized that way. Then stop imagining and start doing – get yourself an app for that. How to change the Bean status? How to find a bean? 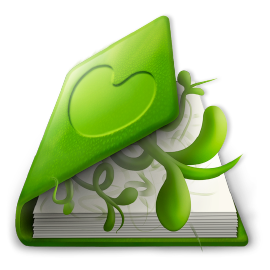 Try Beanflows for free for 14 days. Requires Mac OS X 10.7.5 or later. $29.99 (US) or from Mac App Store.